If you are travelling from abroad you might need a visa to enter the UK. Please check here: https://www.gov.uk/check-uk-visa if you need a visa to enter the UK. 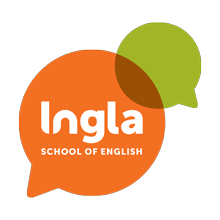 If so, you can apply for a Short term study visa and study English for up to 11 months at Ingla. In most countries the visa application is submitted online through a visa application centre. For full information on visa requirements please visit the UKBA website. If you’re not in the UK, send us an email or a quick message from our contact page. We will send you an application form and an electronic placement test. You will need to send both documents completed back to us along with the scanned copy of your passport photo page. Once you are accepted on the course and pay the deposit of minimum 50% of the course fee you will be issued our Course Confirmation Letter and the confirmation of your level of English. You must include these 2 documents in your visa application. In order to confirm your language ability we might need to contact you via Skype, so please include your skype contact details in your email. The letter of acceptance can be posted to your home address in your country at an additional charge.